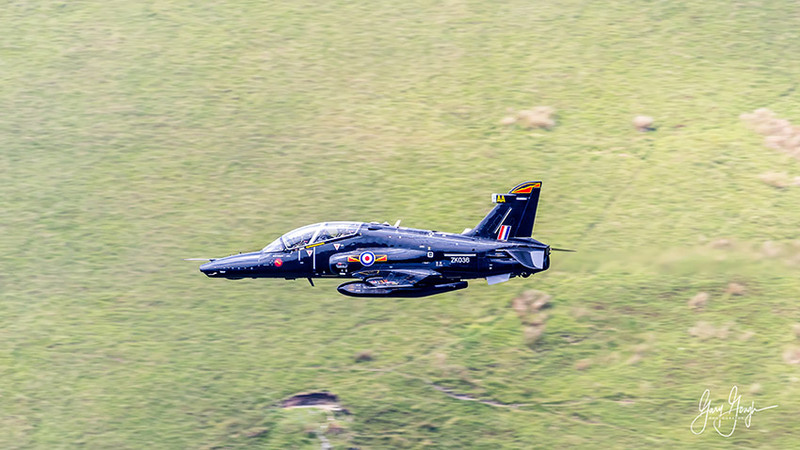 As a follow-up to my Mach Loop Guide (see video) I have created this web page to outline everything you need to know about travelling to the Mach Loop and how to take pictures whilst you're there. I have outlined all the necessary addresses including Google Maps and various Postcodes for your Sat Nav. I've gone a little further than that too. I've covered where to stay and when. I'd advise that you watch the video first and then plan your trip. It's very important to point out right from the off, you're never guaranteed to see aircraft. The military never advertises when they're flying there, it's a hit and miss affair I'm afraid! Everyone at the Loop will tell you the same thing... it's a magical place to sit and watch the world go by. If you manage to see any low flying aircraft whilst you're there, it's a bonus! 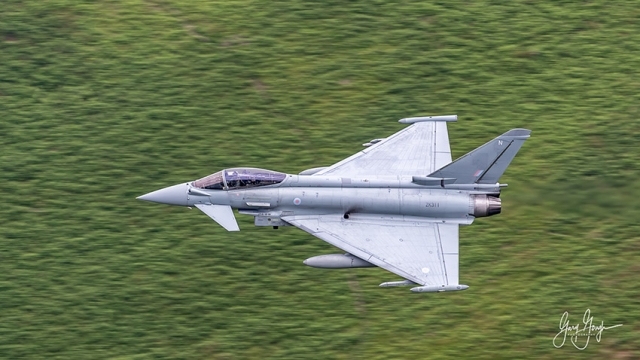 The RAF aren't flying through the Mach Loop at the moment. We're not 100% sure why. The ban is being reviewed in May/June. I will let you know as soon as I know. Edging your bets... A few pointers that will definitely help. Military only fly through the Loop when the visibility is fairly good or better. The Military only fly through the Loop Monday to Friday. Military Aircraft DO NOT fly during Bank Holidays! If you feel you can add to or alter any of the information on this page then please let me know. I'll gladly share the information and credit you. BRIEF: This video is a snapshot of a 2-day visit I made to the Mach Loop (Wales) on the 27th & 28th Jun 2017. It's fully intended to offer the viewer an insight into what they can expect if they're planning a similar trip. Nothing is a guarantee though! This short film is fully intended to capture the emotions and dramas of visiting the Loop. Thanks for your video. 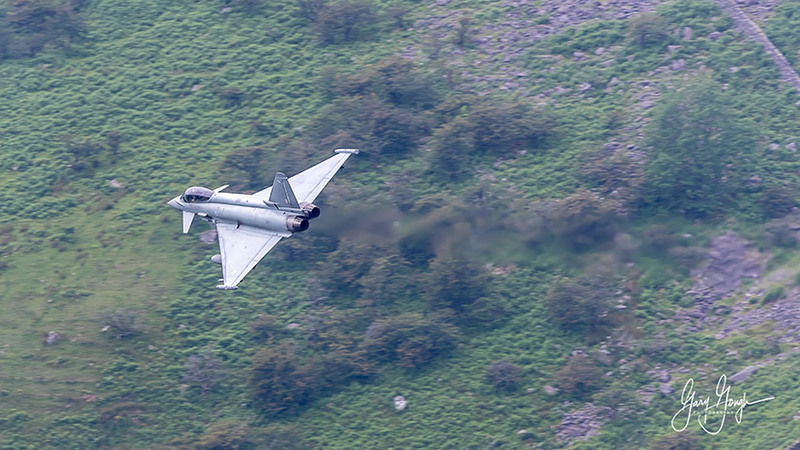 We found it useful on our last trip to the Mach loop. We didn't abuse the local's privileges either. We closed gates, parked carefully and cleaned up after ourselves. Great high quality video! Regards, Suresh , Florida,USA. ADVICE: This video explains how to find Cad West/East. Where to Park, but more importantly than that, how to take the pictures. HOW FAR IS TO WALK? 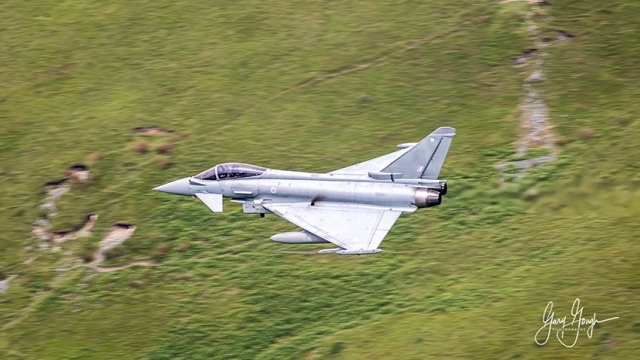 The Mach Loop (also known as the Machynlleth Loop or CAD West among plane spotters) consists of a series of valleys in the United Kingdom in west-central Wales, notable for their use as low-level training areas for fast jet aircraft. 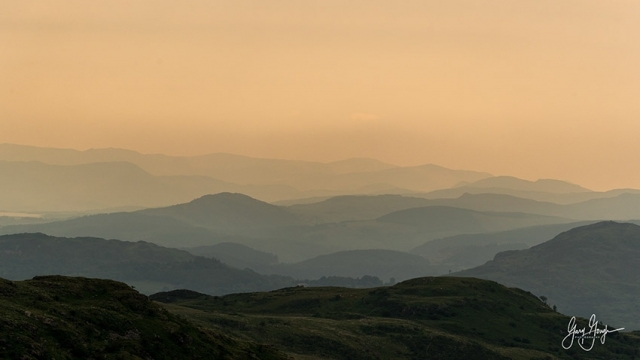 The system of valleys lies 8 miles east of Barmouth and is nestled between the towns of Dolgellau to the north and Machynlleth to the south, from the latter of which it takes its name. 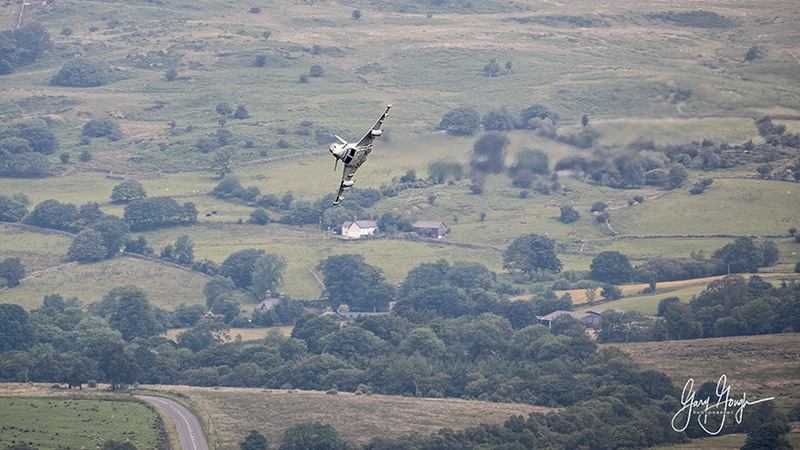 The training area is within the Low Flying Area (LFA) LFA7, which covers most of Wales. Use Google Maps and search for "Cad East/West car park" (SEE BELOW) The result should take you to the car park on the A487 This is the car park for Cad West/East. For Cad East (only) simply follow the instructions on the above video. For Cad West/East park in the Lay-by on the A487 as per Google Maps and if you want to park at the back of Cad East then simply follow the instructions in the video. There isn't an official Car Park there, just a couple of pull-in areas that everybody uses. There are 2 small areas where people leave their cars. In one area (see video) there is space for around 5 carefully parked cars. There is a second area for around 3 to 4 carefully parked cars. People also edge their cars onto the verges, but this isn't recommended and could upset the Farmer and other road users. The verges are un-even, usually soft and boggy and it's very easy to get stuck. I can vouch for that! Furthermore, these areas will fill up by 7 AM - Don't even attempt to travel up the back road after this time, or you'll find yourself traveling back down. Cad West - It takes around 15 minutes to walk to the lower viewing area. This is a steady climb. Perfect for anyone that is averagely fit. You can then venture further up to the higher viewing areas which will offer different viewing angles if you like. The climb really does get a little more intense. This is a real huff and puff hill. Personally, I would suggest going higher only if you're a fairly fit person and if you have a long lens. The further up you travel the further away from the aircraft you get. Cad East - From the rear car park, it's a steady 10-minute climb. (See Parking above before you go) Climbing up from Cad West's car park isn't something I have done yet. It looks a hard climb though. (Community Project) Maybe somebody could advise us in the comments below? A pop-up tent can be a lifesaver. Not literally but they keep you and your equipment dry. They offer shelter from the Sun & Rain. (Community Project) Advice anyone? - comment below? Any camera will do. Some people just go for the experience. Some people are happy to just video the aircraft on their smartphones. If you're serious about taking pictures, then I'd suggest any Camera, but with a long lens. A lens between 300-500mm would be perfect. The land at Cad East and West are owned by local farmers. They have both asked me to point out that Camping on their land is Strictly Prohibited. Camping - Cwmrhwyddfor Farm Camp Site. This site is situated just 3 miles away from Cad East/West Car Park. It is rated 4.6 stars in Google. It has just enough amenities and is picturesque. The Farmer is called Hugh Notting. He's a spot-on guy and embraces photography and photographers. His Rates are very reasonable too! I'm not on commission put please let him know you found this info from this page. This video and accompanying web page covers it all! I want to share mine and your experiences with others. Got any videos you want to share? Any Pictures? Any advice you feel will be appropriate? Just add them into the description and I'll share them on my webpage. I will of course credit you back. My friend and I are Just back from our first ever trip to the Loop. We used your video as our guide and spent three days on Cad East. We were very lucky with the weather and aircraft and saw a lot of Hawks, several F-15s, a few Typhoons plus a Hercules and an A400. Thanks to your tips and advice we had a great time, thank you. Travel the Loop from the Cockpit of a Lockheed MC-130 MC-130 WOW! Take this info with a pinch of salt! The Low Flying Area (LFA7) described, isn't directly related to the Loop. It's a general guide to flying throughout the whole of the Low Flying Area around Central-West Wales. Loopers generally ignore it. One thing I would add Gary is what to wear. Being nearly 1000ft up the side of a mountain the weather can change quickly. It can go from warm to freezing in a blink of an eye, it can rain, snow (dependent on the time of year) nevermind the wind factor! Wearing wind resistant quality outdoor clothing that you can take off if it gets warm is strongly advisable, you can always put them back on. You cover having a tent, I feel this is pretty essential too. I didn't have one but wish I had, especially in that wind chill on the first day. Equally, camping gear of kettle, burner or flask with hot water is a recommendation too. 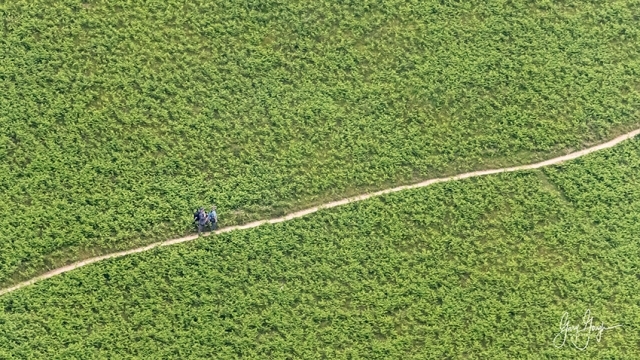 Christoph Sojak suggested using walking poles in his review of my video. Use them for both walking and staking things like your char down when it's windy - GREAT IDEA! WEEKLY VLOGGING... Since I've committed to weekly vlogging, you get the best and the worst. Besides, it's probably good to know that we don't always have successful days! SMASH THAT LIKE BUTTON and SUBSCRIBE - I'll love you forever! 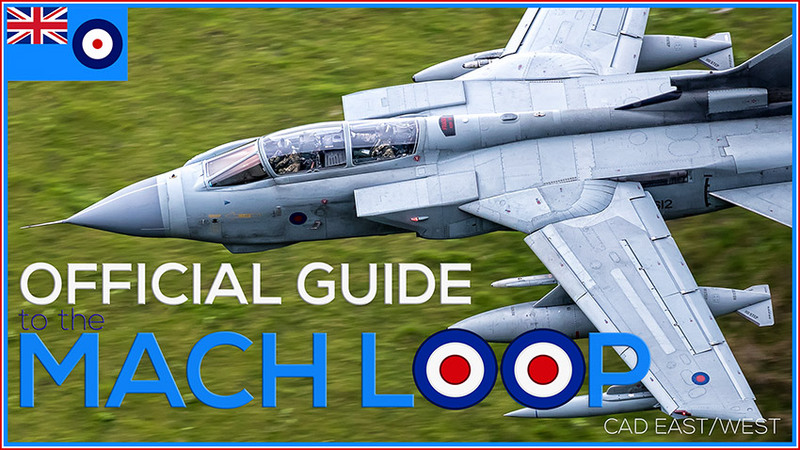 The following is a fantastically written "Guide to the Mach Loop" that has never been published or shared online. The Author has granted me permission to share it, but wishes to remain anonymous which is a shame. I haven't changed it in any way so the author's views may well vary from mine. For the beginners considering going to the loop for the first time. The focus will lie not so much on the spots or the camera gear but with all the other practical details for planning a trip to the loop, going there with the right expectations and mindset to be able to get as much out of it as possible. The author is only an “intermediate” level looper with 4 visits (15 days) total experience. Any corrections/additions can be directed to gary@garygough.co.uk for inclusion in revised future versions of this guide. “The Mach Loop” is a series of valleys in Wales, U.K. that serves as a military low-flying training area. 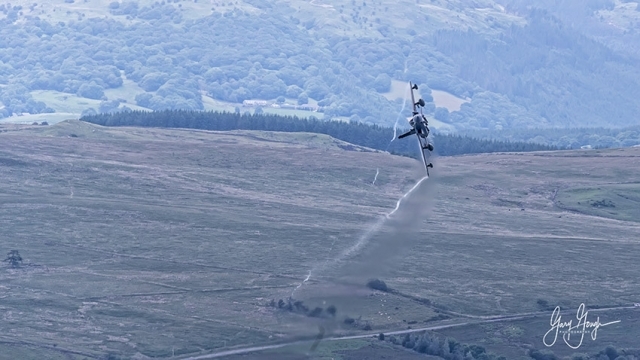 The official designation is LFA7, Low Flying Area 7. 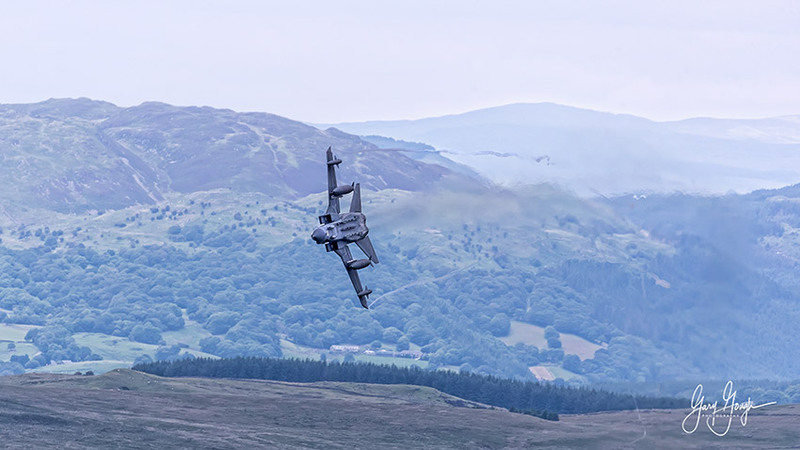 Together the valleys form a circuit in which all kinds of military aircraft and helicopters from multiple nations regularly go to practice their low flying skills. Occasionally, especially in weekends, civilian traffic can also be spotted. The traffic flow is always counterclockwise and in the north and west, there are several popular locations where people can climb the surrounding mountains to enjoy the show and take pictures in a way that mimics air-to-air photography. 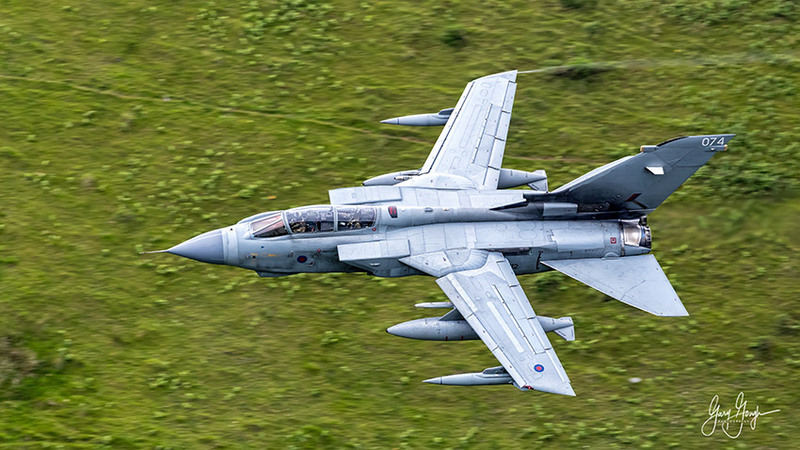 The aircrews flying in the loop are very well aware of the presence of photographers and may or may not interact/assist your creation of some really nice shots. The Machynlleth Loop. 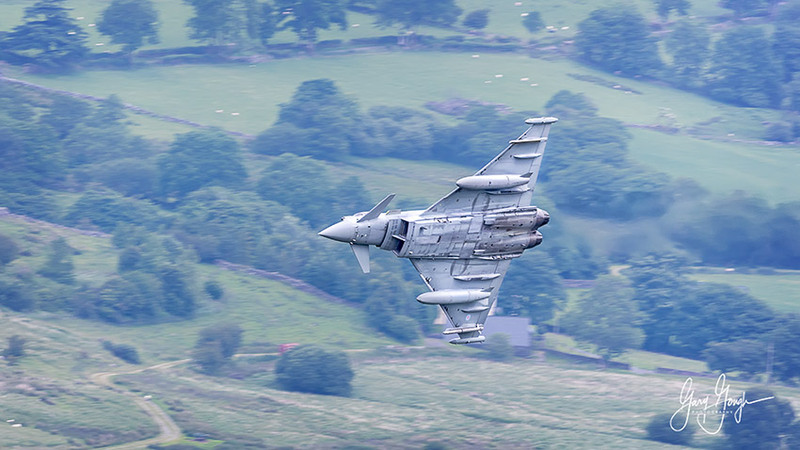 Aviation-heads easily confuse this with Ernest Mach and the speed of sound but the name actually derives from the village of Machynlleth just south of the south-west corner of the loop. Machynlleth like many welsh names are naturally abbreviated and become “mach” with the expected pronunciation in daily speech. R.A.F and USAF primarily but other NATO member states aircraft can be seen occasionally as well as aircraft visiting RIAT. Red Arrows or part thereof can sometimes be spotted passing through the loop. Common: Hawk, Eagle, Tornado, Typhoon, C130, various helicopters such as Apache and Chinook. Rarely/Occasionally/once: Alpha Jet, Jet Provost, F16, F22, F35. Any day they are flying, the weather is acceptable and they have some time and fuel to spare. There is no such thing as a timetable for the loop and going there is a gamble in many respects. However, when the weather is fair you will most likely see something during a whole day stay. Traffic has been seen as early as around 7 and well into the darkness but most typically you want to be there 8 in the morning to about 5-7 in the evening. Also, see the section on parking. 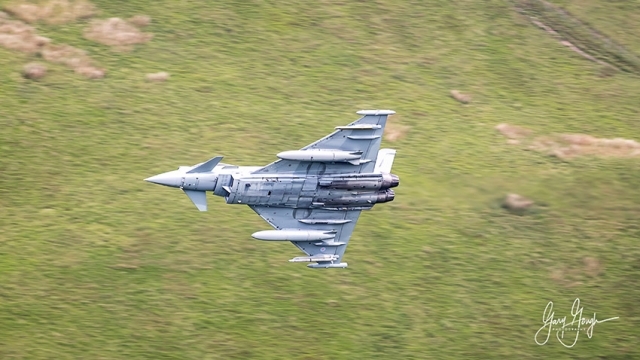 Please note that the air forces mostly operate office hours and the chance of seeing anything during a weekend or bank holiday is skinny to none. Ongoing major exercises will, of course, affect all of the above, including no action at all if the forces are deployed elsewhere. The most apparent one is, of course, the weather. Secondly, if they have time, fuel and desire to go for some low level that day. There are however some other things that can really kill your day. Paragliding and helicopter with under-slung loads cause for temporary NOTAM’s that will effectively close parts of or even the whole loop area for hours or even days. Some national holidays such as school breaks will bring more people to the loop. Also, summertime is high as well as in the weeks around RIAT. Rumors of rare flying visitors will also affect the number of people on the hills and parking. Having a car is basically the only way unless you enjoy walking or biking. There is no bus service or charter coaches to take you there. This is very much the countryside and you need to take care of yourself. There are taxi services in the area but cell coverage is poor so when you are done and want to leave, this can prove tricky. You will most likely bump into other like-minded people and may be able to share a car. Most of the spots have very limited parking possibilities. Space typically used are standard road laybys where you can fit anything from 2-30 cars depending on the spot. Please adhere to signage and do not waste space, park smart and more cars can fit in and people will appreciate you more. Bwlch: If you are a party traveling in 2 cars, please park the car's bumper to bumper and not side by side. People knowing each other or agreeing on conditions can also park this way. Better to block a friend in and leaving space for “singles” to park towards the fence. accommodation really early to ensure a spot. If you are a group, if possible please share vehicles. By early I mean on site no later than 7. Usually, R.A.F are bolder and they also have a slightly lower hard deck for low flying than what USAF do. 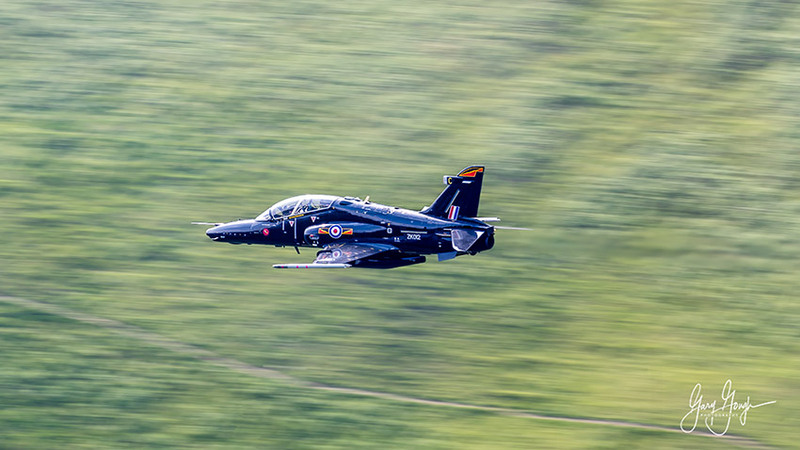 A lot of the USAF pilots are also in training and have not been flying in the loop before, or even at low-level so their personal minimums will take them higher through the loop than most of the RAF jocks. You will be able to take photos of the aircraft from above and level with their flight paths and thus getting pics with the aircraft “landlocked”, that is appearing as though you had been flying with them. With a good lens and some talent, you will also be able to get excellent cockpit shots, maybe even with the aircrew waiving at you. The more time you can afford to stay in the loop (in terms of days) the higher the chance of getting to see some traffic (duh!). No use of afterburners (reheaters). Max 2 complete circuits per aircraft and time. Park effectively to allow as many others as possible to join. 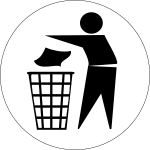 No littering, you are on private property and the day someone’s litter hurts a sheep, the looping days are over for everyone. Adhere to signage, particularly at Bwlch where you must never block the gates! Close farmers gates behind you or make sure the car after you does! Think twice before publishing photos that can get the airmen in trouble (burners, inverted, obscenities). Doing so can also give you a bad rep among veteran loopers. Most FB-groups will ban you if you do. Accept recommendations and reprimands from more experienced loopers, they know what they are talking about and their minds are set on what is good for the loop and your safety. Keep dogs on a lead unless you are VERY sure you can stop them from going after the sheep. All violations of manner and common sense on these spots will jeopardize the future of the loop both from farmers blocking off access and from the air forces moving elsewhere if they start viewing the loop as a risk for them or the general public. - Use of drones or any other flying device or object that risk intentionally or unintentionally getting airborne and could pose a danger to incoming jets. Who Can Go? What About My Kids? Pets? The different spots have a different character and the difficulty level varies a lot. Still, keep in mind that all spots require that you climb up to a level where you are above the aircraft you want to be watching. Even rather unfit people can do it as long as they take it slowly, not pushing on too hard. For families with kids, Cad West is the spot you want to visit. The climb is done by traversing trails and at the steepest parts you follow a fence that you can hold on to if needed. Once up there, there are no sudden steep areas that you could accidentally fall down from. Sheep are omnipresent in the loop area and they are roaming the same hills you are to keep that in mind if you bring your dog. Farmers tend to be very upset by anything else but their own sheepdog hunting the sheep. Where there are sheep, there are ticks. Snakes have been reported – mind your step. All joking aside, people get hurt in the loop every year. Please appreciate the challenge you accept when going to the loop. will bring unbelievable cold even in July. ALWAYS use good footwear. Disregard any other advice I give you in here except this. Get some proper outdoor boots with good treading and preferably with some ankle support. The terrain is rock and grass, both get horribly slippery real quick, morning dew can increase the climbing difficulty by 30%. In many places, the rocks are loose and you have to carefully plan your steps and if you lose balance, which you inevitably will at some point, the shoes may be the only thing between you and a fracture, or in a worst case, the afterlife. Navigating this type of terrain is not a game so gearing up properly is very smart. Dress in layers (onion principle), helps preserve heat during long periods of inactivity with wind and downpour and you can easily shed as many layers as required when the sun comes out again. Bring a spare layer since the climb usually soaks the layer closest to your body. Always bring rain protection for yourself and your gear. Bear in mind that the ground gets wet too so you need to water-proof anything that will be sitting directly on the ground. Anything from a solid plastic bag to professional outdoor protection products will do the trick. You will see that some people carry different quick-erect type tents if you care to carry one they are fantastic when the weather goes sour on you and you will get lots of envious stares from the people sitting outside curled up under their ponchos and umbrellas. They are rather inexpensive, you can get them from approx. £25 and up. Oh, umbrellas. If you have a small light one, pack it along but mostly when the rain comes, so does the wind and it can quickly get beyond the point where an umbrella will turn inside out. Some people find a good use for walking sticks when climbing for extra grip and stability. Sitting gear, I mentioned protection for things you put on wet ground. But, if you are going to spend maybe 10h on the mountain, it may be wise to bring something to sit down on, wet or not. Folding camping chairs are common among loopers although it can be a challenge to find a flat enough surface to put them on. Securing it when the wind picks up can also be an issue. Inflatable pillows are nice but not very aerodynamic so attach it to something that will keep it from getting airborne. This goes for any lost items that can get airborne, a tent-pin and a string/lanyard will save the day and your gear. A must for fair days, you will find yourself sitting outdoors for 10h straight with no shadow. Also, bring sunglasses, they will be comfy and also help when looking for incoming traffic. Some kind of hat or cap is good. Keeps you from sunburn on the scalp and provides extra shade for eyes and neck. Bring one which fits snugly or has a chin strap to secure it, yes, it’s that wind again! Nothing of the sort is readily available in the immediate loop area. Stock up on water (plenty! ), sandwiches, sweets and what not at the nearest SPAR or gas station in Dolgellau or any other village of your convenience. Nearest lodging and restaurant is the Cross Foxes which is situated in the area called “the roundabout” between The Exit and Cad (see spots section). overflown by that plane you’ve been waiting for all day. Coming! - Kind of self-explanatory but that is what you collectively yell/repeat when someone has spotted incoming traffic to alert everyone else. Or any other exclamative word, such as OY! Or the type or direction from which it’s approaching. 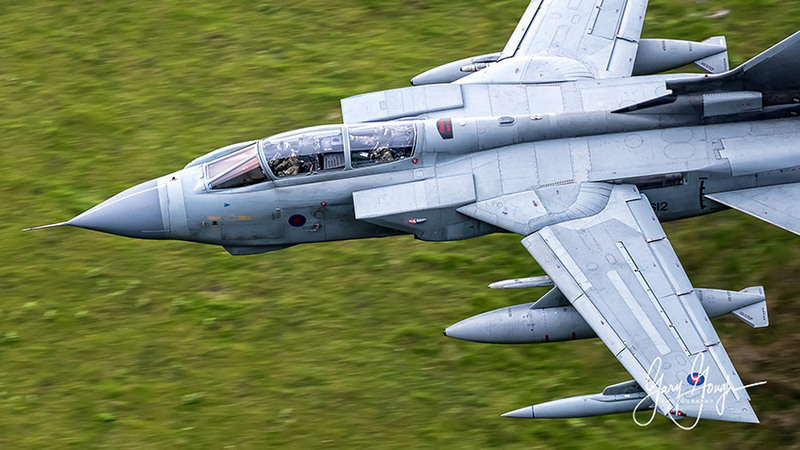 Tonka - Nickname for Panavia Tornado. 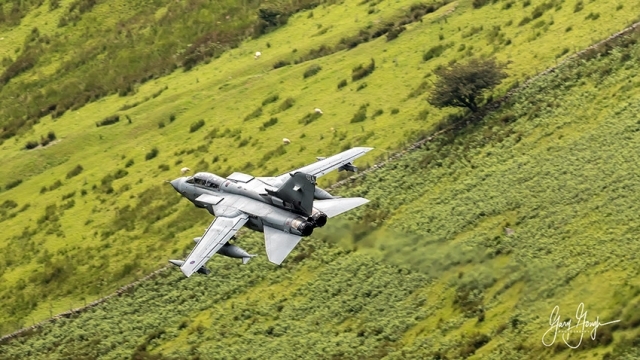 Landlocked - Picture of aircraft with the only terrain as the backdrop. Office Shot - Photo straight in/down into the cockpit. If you think the traffic will go full circuit or for a second lap, lap time is about 3-5min depending on the aircraft type. Don’t let your guard down though, he may have buddies joining the party during that time. Cell phone and air-band radio in own sections below. Providing you can get Internet service where you are, there are a couple of Facebook groups that will have daily intel posts where observations from people in the area, people using unfiltered ADS-B online services or people listening on air-band receivers at home or on the hills are posted as comments. There are also a number of dedicated “heads-up”-groups. These groups and to some extent forums such as Fox2 or FighterContol can also provide insights into coming or ongoing exercises and unique visitors that may come to the loop. Get acquainted with the regulars, they are usually very friendly and are regular walking information parlors and they exchange information that not always reaches wider circles. A few of them are more or less connected with air force insiders. Do not expect coverage. No matter what subscription/provider you are on, coverage is poor in most spots. If any carrier is a little better than the others, at least in parts of the loop area, it’s EE. For the casual visitor going there once and maybe never more, the use of a radio will give more headache than help. You need a good radio with a good aerial (not the included one), there is a bunch of frequencies to monitor (can be found online or ask someone on-site). The terminology used takes a lot of experience to get into and there is no one frequency and no particular clearance for them to enter the loop. The key phrase you want to listen for is “low-level”, combine that with where they are/who they are talking to and you can derive that at least there is an increased chance something will show up soon. There will most likely be a number of people with experience and good equipment around you to help you out and/or who will pass information they hear on to you. Update: Lately (2017) the NATO Low-level frequency (278Mhz, AM) has become more reliable and many flights now check in on it. When you hear something on it, get ready, you will likely have company within minutes or less. Only a small part of the military traffic actually use ADS-B. Mostly you will see transports and trainers, but occasionally also front-liners taking off, or crossing civilian airspace. Flightradar24 is more or less useless in the loop as they filter out most military traffic. adsbexchange.com set to show only traffic deemed as military is quite good. 360radar.co.uk is a subscription service used by many loopers. This will vary with the spot you visit. Generally, the head warning times are between short and very short, say 5-20s. You cannot rely on hearing the aircraft, the wind can cancel out the noise and significantly reduce the head warning you get. Some of the spots also have terrain blocking the view so that incoming can only be seen for a few seconds before passing you. 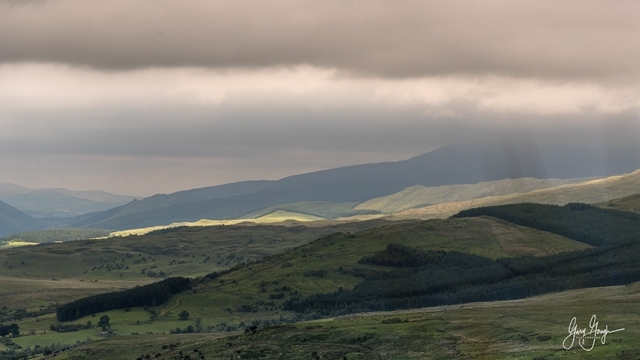 Bwlch and Cad West have the best head warning times of around 10-20s depending on visibility and detection. Being on top of your game and concentrated on looking where you know the aircraft will appear for hours on end is not possible for most people. Fortunately, there is strength in numbers and within the group. There will usually be one or more watching all the time. Think of as a meerkat (suricate) clan on the lookout. Aviation photography is an equipment sport, there are few shortcuts if you want really good pictures. However, the loop will let you get away with decent pictures even with a mid-range camera and lens. The spots all have slightly different demands concerning focal lengths but if you have a zoom or telephoto lens reaching 200mm or more, you are well off in most of the spots. Friends attempting to use 500mm lenses quickly changed over to their 100-400mm lenses instead as they were getting too close and tracking/panning became virtually impossible. Do mind that some of the spots are only good for part of the day as they become at least partly backlit, later on, Cad East, Spur, Corris to name some. Do not climb with your camera at the ready unless you have climbed that spot before and/or have a deep wallet. Falling on or dropping your camera here WILL break it. Also, use a camera bag or backpack for protection. Unless you will have a truly epic day you do not need a very large memory card even if you are shooting raw, however speed and buffer size are of greater importance. I’ve had a superb week with plenty of traffic but with a window of only a few seconds for each, the total number of clicks remain much lower than at an airshow or airport. Returning from a really good week I had bagged only about 1 000 exposures and not all of them were of aircraft. So, now the golden nugget(s). I will only cover them briefly for reference in this doc. Type of shot: Topside or level pass. Head-on and turning when approaching through the valley from the east. Climb: 30-50min depending on fitness and conditions. 2nd hardest climb in the loop of the common ones. Parking space: Limited, approx. 10-12 cars max if everybody uses their head and not their ego when parking. Type of shot: Dramatic topside or level pass. Behind and turning left to Corris over lake Tal-y-Ilyn. Climb: 20-30 depending on fitness and conditions. Easy climb. Trails traversing the hillside horizontally. Parking space: Quite generous, largest layby in the loop. Approx 30 cars. Climb: Offers possibility to drive up close to the peak, 10min easy climb from parking. Parking space: Good if parked at Cad West layby. Very limited if driving up, maybe 3-7 cars if you get creative. Lighting: Only really good in the morning but ok most of the day. Type of shot: Side, topside, lake background. Parking space: Layby, maybe 5-10 cars max. Lighting: Only really good before noon. Climb: 30min, most difficult in the loop, do not climb straight up. Parking space: Layby, 3 cars max. Other possibilities further down towards Dinas. Lighting: Can be tricky at times. Parking space: Layby, 2 cars max. Optionally stop a Bwlch layby. Same as Bwlch but turn right and head over toward the roundabout / Cross Foxes. Ho Nikki, Glad you found my video informative. Good luck next week. You'll have to be really patient. Take a flask of tea and some biscuits. Hi Gary, I had great pleasure in watching both of your videos on YouTube. I am planning on going up CAD WEST with my Wife and Daughter on Friday 31st Aug. I've seen mixed reports saying that Fridays can be quiet but it's a gamble we will have to take as that is what our holiday plans will allow! The biggest concern for my wife and daughter is where they can relieve themselves! I get that nature has to take its course up on the hillside but do you have any tips about when nature calls!?! We are probably going to take a small tent up there so they can go in there for some privacy :-/ Anyways, I'll let you know if I get ant good images while on my maiden visit to the mighty Loop! Can you help, I live in llangynog and have regular low flying aircraft. But today I saw a huge two engined aircraft flying low up my valley, it was an huge machine and almost silent. If I hadnt turned round to put my hedge trimmer down I wouldnt been aware of it, it flew over the hill towards lake vyrnwy. I would like to know what sort it was, it really was a massive craft.